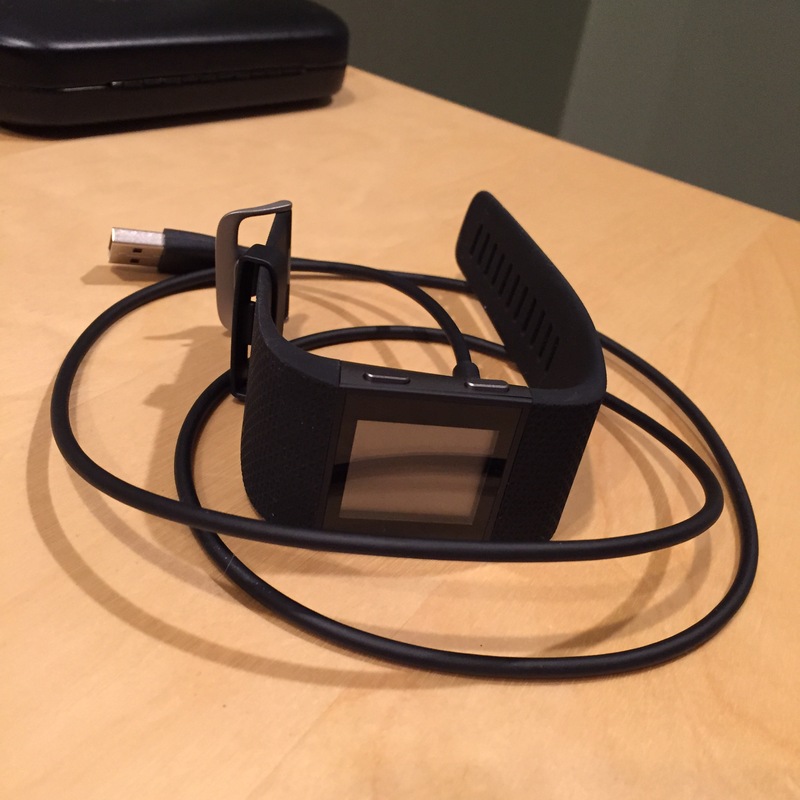 Here is my quick take comparison on the Fitbit Surge versus Polar M400 fitness tracking devices. DISCLAIMER: This is just a quick comparison of the two devices listed. You can find my in-depth review of the Fitbit Surge right HERE, and my in-depth review of the Polar M400 right HERE. Below is just a quick look at what I like about each one, and why I feel one might be better than the other. Enjoy! Fitbit is still my favorite brand on the market today for the general consumer. Their products reach the largest overall audience, and the quality of their app reigns supreme. One thing I really love about the Surge is the mixture of a touch screen with buttons. Also the device works for a wide variety of sports. 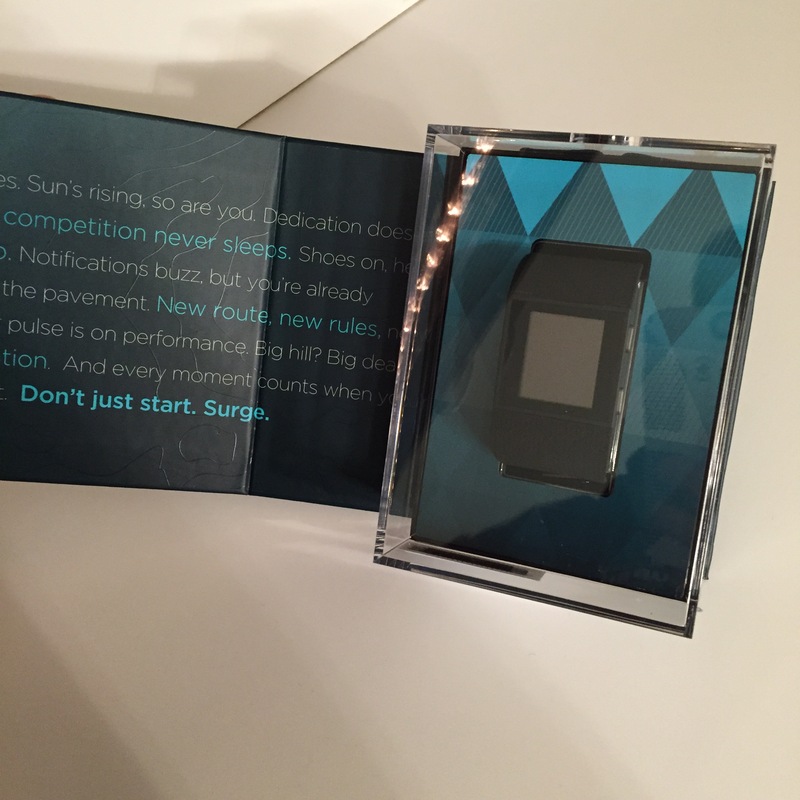 Some of the key features of the Surge include GPS for outdoor activities, all day step tracking, built-in heart rate monitoring, and on-device notifications. Battery life is a modest 4-5 days of real world use. Comfort when wearing is great. At a retail price of $249 the Fitbit Surge is a good option but definitely at the higher cost of this market segment. For those seeking a smart watch, this is not the right option. Neither of the devices in this comparison are, actually– as they are both fitness items, with no 3rd party app support for things like games, or silly things like that. In comparison, the Polar M400 doesn’t really come off as casual a device as the Fitbit. Something about Polar’s style just screams athlete, but that isn’t necessarily a bad thing. Interface on the Polar is quite similar to the Fitbit, though I did feel like the data the Polar shows was richer in context, greater feedback, etc. When comparing companion apps (using my iOS devices) both worked quite nicely though the Fitbit was more reliable for sync options, with the Polar needing the occasional manual sync to work right. However, Polar is working more directly with third parties and I suspect there will be more export functionality in the future compared to Fitbit. Plus, the Polar web site is better suited for hard-core athletes who want better visibility into their goal training, making it easier to see progress towards time-based or distance-based goals, and so forth. One downside to the Polar is that it doesn’t have built-in heart rate tracking. You can link it to your chest strap or similar heart monitor device, but this does require an additional item. However the excellent battery life on the M400, coupled with the year-long battery life most chest straps achieve, makes this a better buy for those who don’t want to charge every week. The unit feels a bit bigger and bulkier, but it feels more like a sports watch than an activity tracker. And again, that isn’t necessarily a bad thing. Cost wise the Polar M400 is the same $249 retail when you add in the chest strap, and marginally cheaper than the Fitbit if that is a feature you don’t care about (read: if you buy just the watch alone). These two devices really cater to slightly different audiences, but are both excellent buys. In one hand you have the Fitbit Surge, suited nicely to casual runners who also want the benefit of all-day activity tracking and the trusted brand of Fitbit. 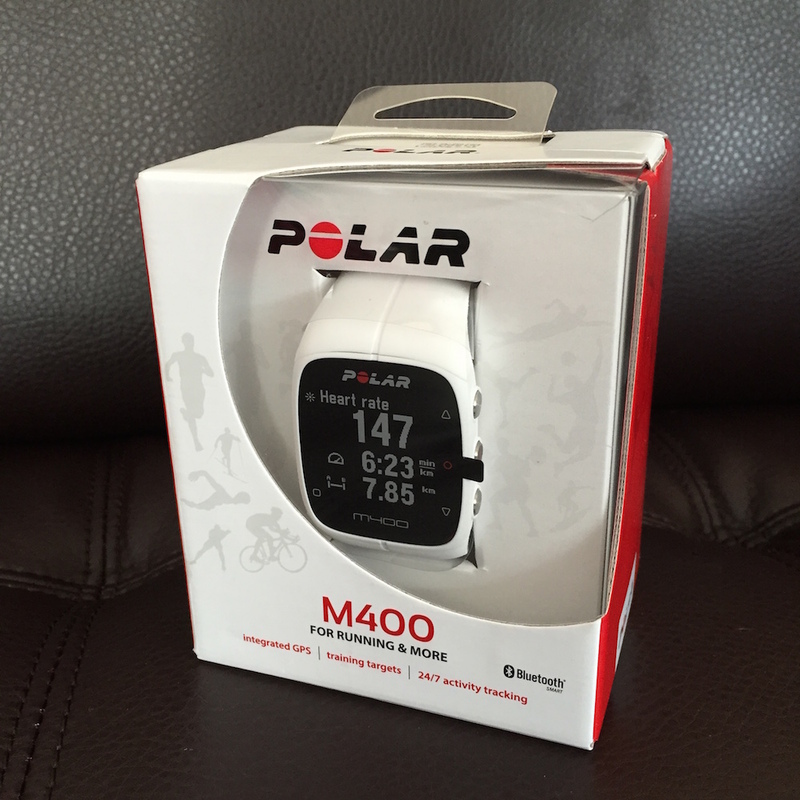 Yet in the other hand you have the Polar M400, a device that works for a broader spectrum of training, and comes from a brand known for being serious about fitness and athleticism. If your main goal is general health, fitness, and some “smart” notifications, then check out the Fitbit Surge. It works great for any exercise, thanks to the on-board heart rate monitor. 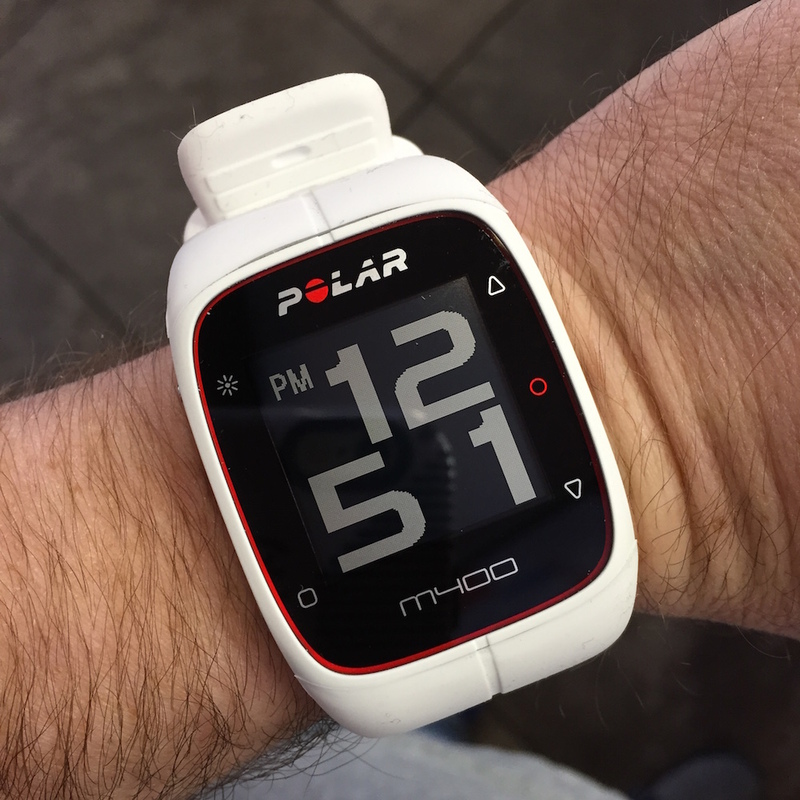 If you are more focused on goal-oriented athletic training, you may want to consider the jump over to the Polar M400 for a more serious workout companion. Both are equally as awesome devices. Good luck! I am debating on getting either a vivofit or a fitbit. I have a Garmin 410 for running/biking/swimming. My question is do you think I will benefit from having one of them? Would the fitbit be better bc I already have a 410 or would the Vivofit benefit me on a daily wearing basis? I guess I don’t want to waste the money if I already have what these gadgets offer. My watch I only use during my runs/bikes/swims – I want something that will track my activity all day. Joy- are you using Garmin Connect with your 410? If yes, then you are uploading your data to the cloud, and specifically, Garmin’s cloud. Based on that alone, I’d suggest keeping it all in a single platform. You can use a Vivofit in conjunction with a 410 or similar product, and it will aggregate all of that data on the Garmin Connect service. If for no other reason than having it all “work together” I’d suggest staying in the same product family. If you are after the Vivofit, there is a new version-2 coming out end of this month. I’ll have a review for that item on this blog sometime in April or May. Just wanted you to know there is an updated version coming soon though. Does the m400 send you a weekly progress report like the Fitbit??? Although you can view daily, weekly, and monthly information on the web portal, I do not recall there being any sort of automated email option like Fitbit offers. In other words the information that you want is available but you will not get an email every week automatically expressing that information for you. You would have to log in and get the information manually. Do you receive a weekly report from the m400 like Fitbit sends you?? Sorry I didn’t realize I asked it twice! If I have an old polar watch, can I just use the strap from that one to use while working out??? It will depend on just how old your Polar heart strap is and what frequency. The M400 comes with a newer bluetooth capable unit. Do you have a model # off your old heart rate strap? If may work as I think some of the older GymLink 5k units will work with the M400… but i’m not 100% sure. You may want to email Polar, who has a really decent support team, to get verification. They’ll probably want the model # from the old strap. 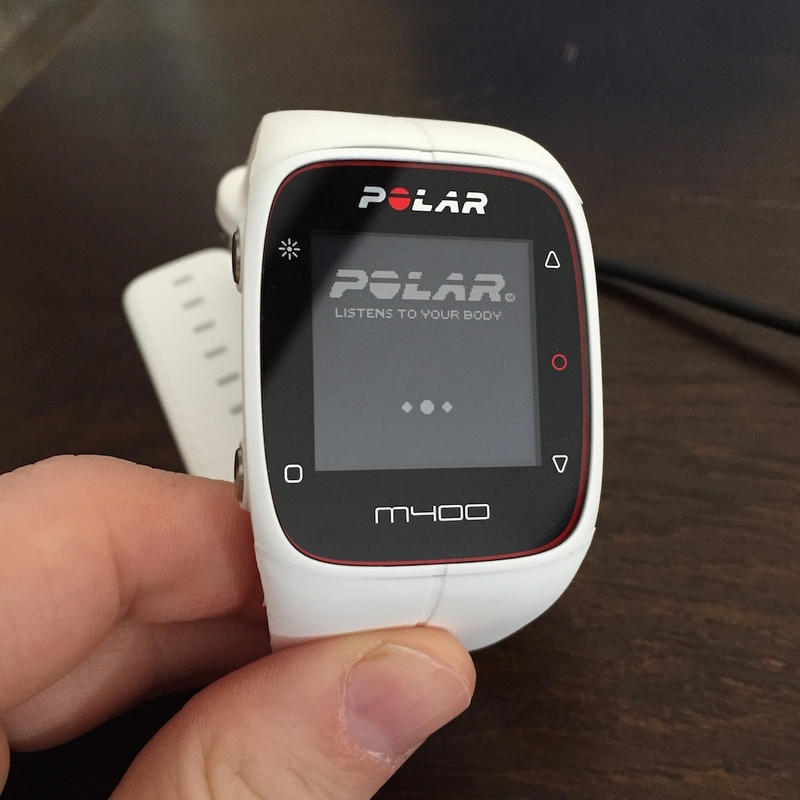 If you are in avid runner or training for a 5K or similar the polar is a great device. However I will not ever say that fit bit is not the best software out there because it is. Polar is a bit more serious feeling in both hardware and software design. But I do love the polar and the M400 especially. Thanks for the information. I have researched and I am torn between the Surge and Polar M400. I have had my Polar HRM for 15 years and it is finally done. My most desired features are the GPS, HR, step tracker and a large screen so that I may see results. Any input? You mention having a Polar HRM for a long time. What device were you using to record your workouts? If you’re use to the feedback some Polar devices provide, or you have data stored in their cloud (Polar flow), then the M400 will be nice in that it keeps your historic data. However, both have GPS and step tracking. The Surge will add HRM to your wrist, giving you an all-in-one device. I personally liked the “feel” of the M400 on my wrist more, but it did feel not as cool/modern as the Surge, both in style and interface. Another aspect are friends- do you have buddies who have Fitbit devices? It is fun to compare your steps with them, or do week/weekend battles, etc. That social aspect definitely creates enjoyment for many Fitbit users. Sandra, congrats on the purchase. Happy to hear that you have decided on a setup that will work for you. Hope you enjoy the items. Best wishes! While wrist based heart rate monitors are decent, adequate even, the reliability of a signal and accuracy of your heart rate is always better on a chest strap. Though I don’t think you’ll find the data between devices that drastically different, if you want to be as spot on for analysis as possible always go for a chest strap. 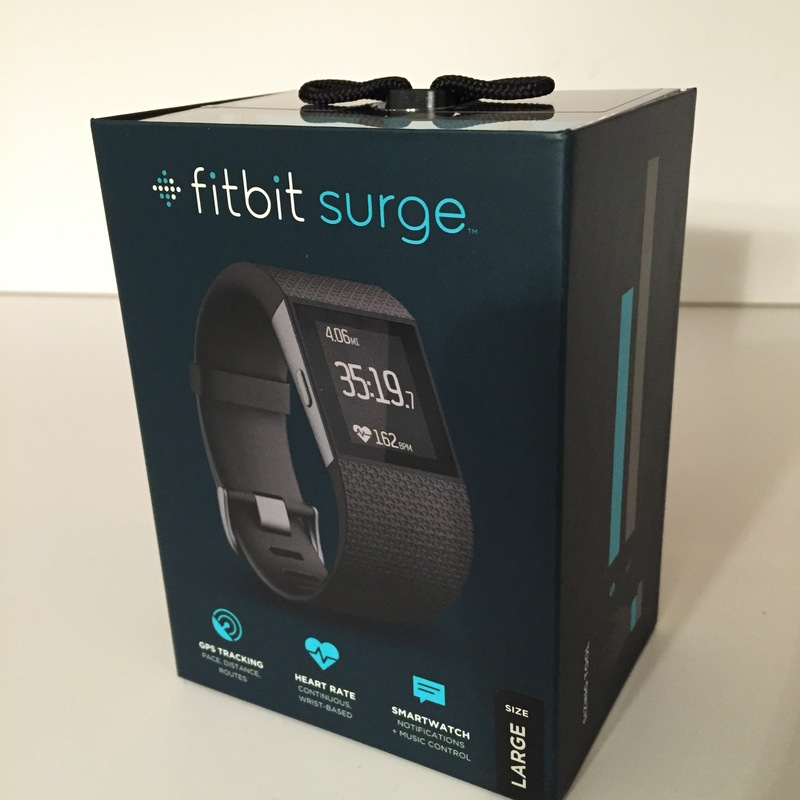 All that being said, I love the Surge and Charge HR from Fitbit because they are one stop shopping. Their HRM works decent, and should suffice for most. No bulky straps or extra hardware to remember. But beware, the Polar devices always have more feedback, which is great if you have specific training goals. So long as Polar supports those goals. Hope this helps. I don’t think you’ll go wrong either way- I would pick the device that both fits your budget, but also decide if you want a chest strap or not and that will help be your final choice. Ciao!